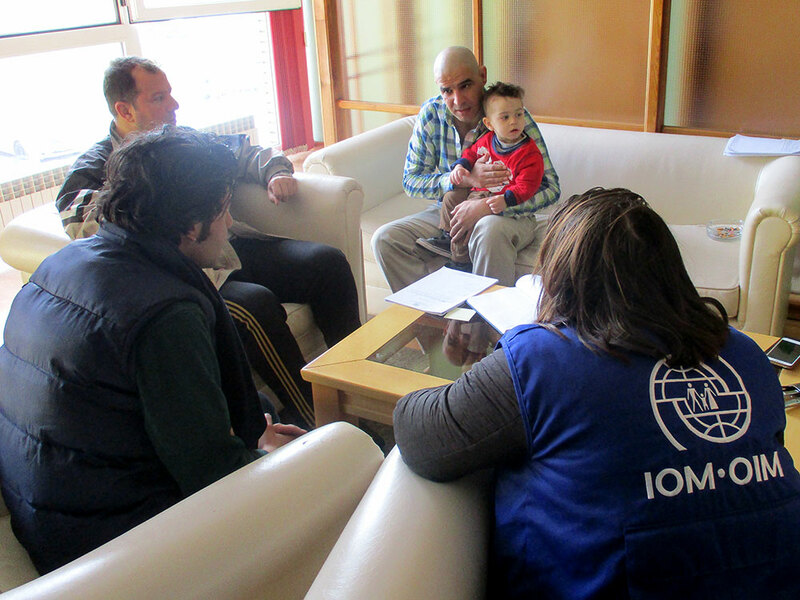 Sarajevo – IOM, the UN Migration Agency, through its Migration Emergency Funding Mechanism, is supporting the Government of Bosnia and Herzegovina to address urgent accommodation and humanitarian needs resulting from an increased number of migrants and asylum seekers. Since the end of 2017, Bosnia and Herzegovina has seen a steady increase in the number of irregular migrants entering the country at its southeast border with Montenegro, as well as from different border-crossing points with Serbia. In 2017, a total of 755 persons were apprehended while trying to enter, cross or exit the country, compared to 240 in 2016. Data from the first months of 2018 confirm the trend, with over 520 persons detected by the border police in January and February. These are new routes that are emerging as migrants stranded in the region continue to try to reach the European Union. So far in 2018, the Service for Foreigners’ Affairs has registered a total of 520 irregular migrants and asylum seekers. The total accommodation capacity of approximately 94 places in the closed immigration centre and 154 places in the asylum centre has been quickly reached, leaving asylum seekers to find alternative housing on their own or sleep rough. Local NGOs, private individuals, and mosques accommodate many. This population has become increasingly visible in certain areas, including in the centre of Sarajevo, in Ilidža, just outside of Sarajevo, and to a lesser extent in border areas such as Velika Kaduša on the border with Croatia, Višegrad on the border with Serbia, and Trebinje on the border with Montenegro. According to a statement by the Director of the Service for Foreigners’ Affairs over 1,000 people are expected to arrive in the coming 15 days. While the government is in the process of finding a longer-term solution for receiving migrants and asylum seekers, IOM’s emergency assistance addresses the acute accommodation needs by expanding the Asylum Centre capacities by 60 beds and up to an additional 40 beds in the Immigration Centre. While the vast majority of registered migrants are adult men, there are also women and families with small children and babies among them. An increase in family arrivals has occurred with improved weather conditions. One local organization is currently hosting 54 people, among them young children and three pregnant women.